The Friends of the Ordinariate of Our Lady of Walsingham was established in 2011 to assist with the work of the Personal Ordinariate of Our Lady of Walsingham in England and Wales through both practical and financial support. The Friends of the Ordinariate was also established in order to raise awareness of the Ordinariate’s life and mission within the wider Catholic community. We work closely with the Ordinary, Mgr Keith Newton, who is our president, to identify areas where the Friends can be of assistance. We gratefully receives donations from individuals and organisations who share in the Holy See’s vision of Christian Unity, which has been made manifest in the Ordinariate of Our Lady of Walsingham. £15,000 towards the renovation of the parish rooms at Our Lady of the Assumption & St. Gregory, Warwick Street, including a shower facility for local homeless. 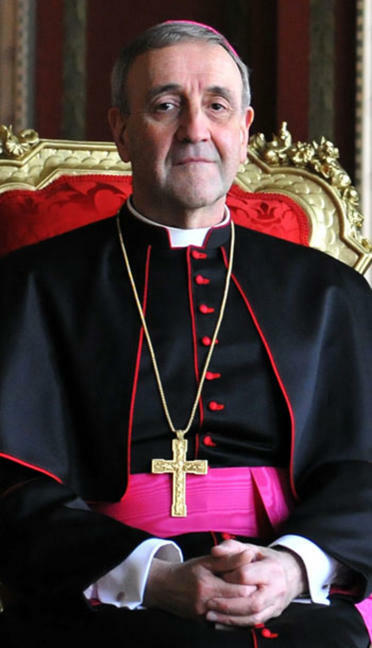 The former Apostolic Nuncio to Great Britain, His Excellency Archbishop Antonio Mennini, asked benefactors to be as generous as possible in their support of the Ordinariate.